Five American dental organizations have joined forces to sponsor an awareness campaign to educate the public about preventable dental and facial injuries and to encourage the use of mouth guards, helmets and other protective gear during sports and outdoor activities. 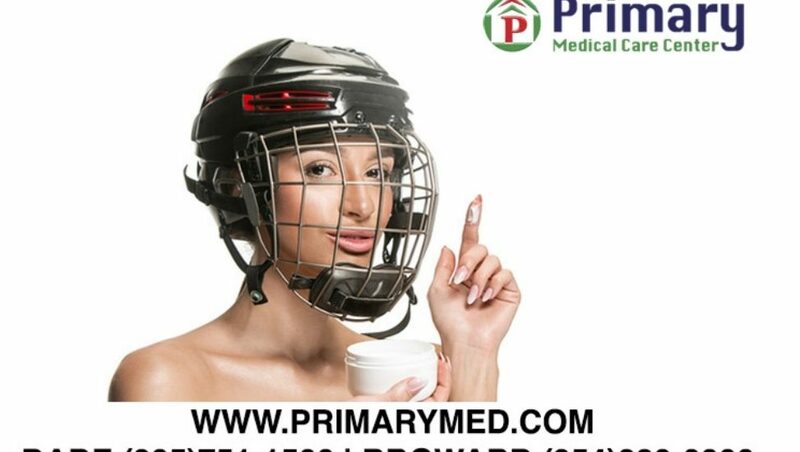 April is observed as National Facial Protection Month (NFPM) as doctor’s offices, urgent care centers, and emergency rooms often begin seeing a lot of patients with head, mouth and facial injuries in the spring as sports and outdoor activities increase. Mouth guards are a must. Have 20/20 vision with protective eyewear. Face shields save skin…and more. Cheer and shout out your support for mandatory protective gear. If you or your child suffers a facial injury, seek medical attention as soon as possible. Some facial fractures can be life-threatening while others may cause damage to the respiratory system, airway passages, central nervous system and even irreversible vision loss. For life-threatening emergencies, always call 911 and go directly to your closest emergency room. For non-life-threatening injuries and evaluations, you may walk-in to any of our convenient Primary Medical Care Center community clinics, or you may schedule an appointment by visiting our website at www.primarymed.com, or call (305)751-1500 for our Miami-Dade clinic, or (954)289-0000 for our Broward clinic.